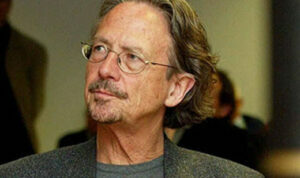 Recently Austrian writer Peter Handke was awarded Ibsen Price of 300.00 euro, which caused big controversies in Norway because of his pro-Serbian writing some years ago. Slavenka Drakulic, who wrote about Handke’s political statements before, in her interview for Norwegian Dagsavisen expresses her sorrow that Handke, a good writer, in her view remains morally compromised. The whole interview in Norwegian can be read here.